On September 20, 2017 a class 4 hurricane pummeled the island of Puerto Rico causing power outages, infrastructure damage and deaths. Early reports set the mortality rate at 64 but other unsubstantiated counts and one study in the scientific literature have estimated the death toll to be much higher. assess the communication efforts by the government of Puerto Rico after the hurricane. The study, which is being done in collaboration with researchers at the University of Puerto Rico, is the first to use actual death certificates and other mortality data in order to estimate a more precise mortality count due to Hurricane Maria. 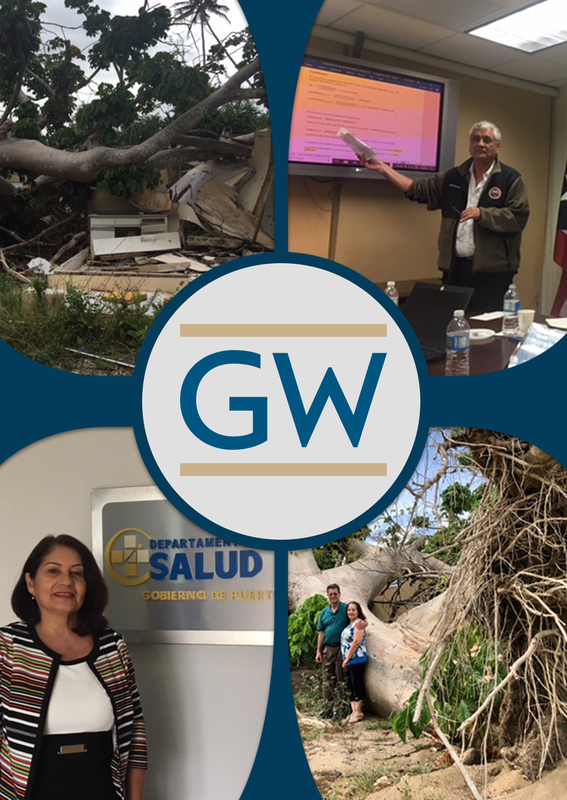 The information gleaned from this study, including recommendations to the government of Puerto Rico, will be used to help the island prepare and plan for the next big hurricane or other similar natural disaster. In addition, the researchers hope to develop a model that could be used by at-risk coastal regions in the United States and globally to help save lives in the future. For questions about the study or our team, please email gwsphmedia@gwu.edu or visit the Connect page.